Dynamic Tots Music Classes are for children under the age of 5 and their caregiver. Classes include music activities such as music and movement, instrument play, singing, dancing, and reading/literacy skills. Each class is approximately 45 minutes long and are tailored to the individuals in the session, so no two classes will operate the same way. Classes are led by board certified music therapists (MT-BCs). Is your child ready for Piano lessons? Questions to ask. The Mooresville Arts Partnership offers private piano lessons with Ms. Jan Aldridge Clark and with Ms. Sara Callanan. Lessons are 30 minutes each week with the instructor of your choice. If you've been looking for lessons but wondered if your child is ready, there are a few questions to ask yourself. The Mooresville Arts Partnership is excited to announce a new partnership with Jennifer Whitlow and Dynamic Tots Music Therapy. Ms. Jennifer and her board certified instructors are bringing music classes for children 5 and under to our 2017 Schedule. New Youth & Teen Art classes are here! Check out this Monday class. It's Papier-mâché Monster Making! Channel your inner Dr. Frankenstein with this creative class in papier-mâché sculpture. 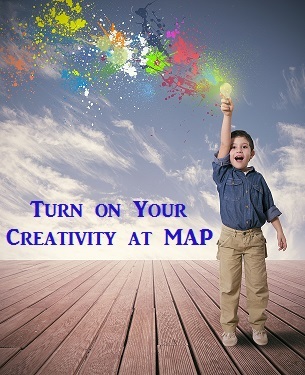 Learn to create monsters, dinosaurs, dragons or whatever beasts haunt your imagination. Be prepared to get messy and have fun! 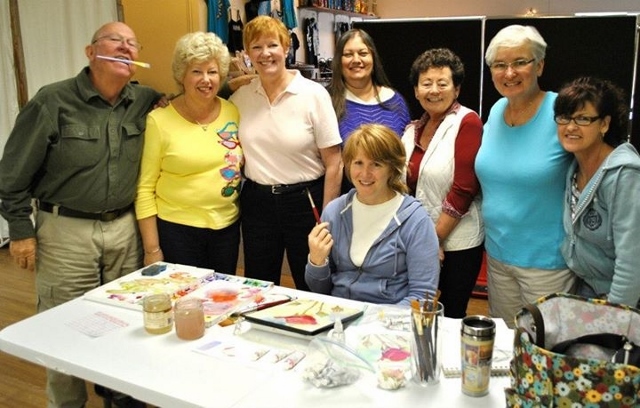 As we start our fourth year of classes at the MAP, we celebrate the friendships and creations of our adult painting classes. We are so proud to be a part of these wonderful classes. We thouroughly enjoy the opportunity to share ideas and to encourage and nurture each other as we learn and grow as artists.